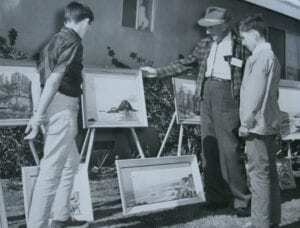 On September 17, 1951, a group of Morro Bay area residents met to discuss the formation of an art group. 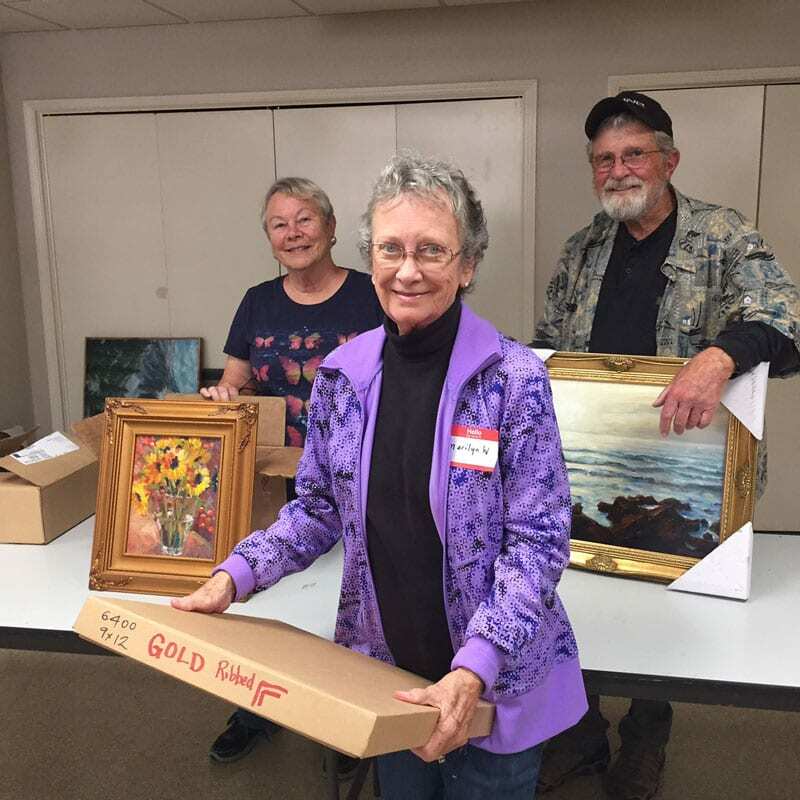 With the assistance of the California Art Association, a second meeting in October of that year formalized the organization. At the time seventeen dues paying members met in local homes, public buildings and churches. 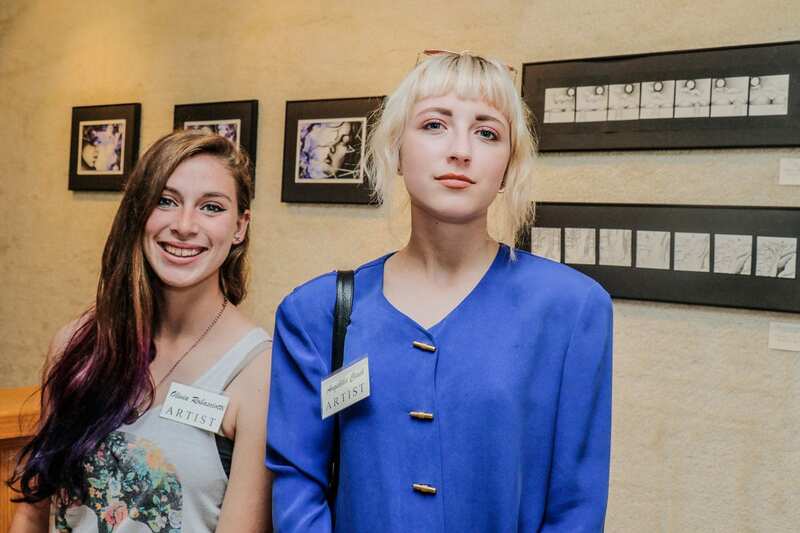 Art exhibitions are the heart of the art clubs and the MBAA has been exhibiting member work from the start. 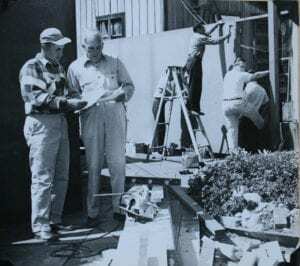 In 1952 the first public show took place in a member’s studio where twenty-three paintings by six artists were displayed. After that begining shows were held in public buildings, outdoor venues and members homes. 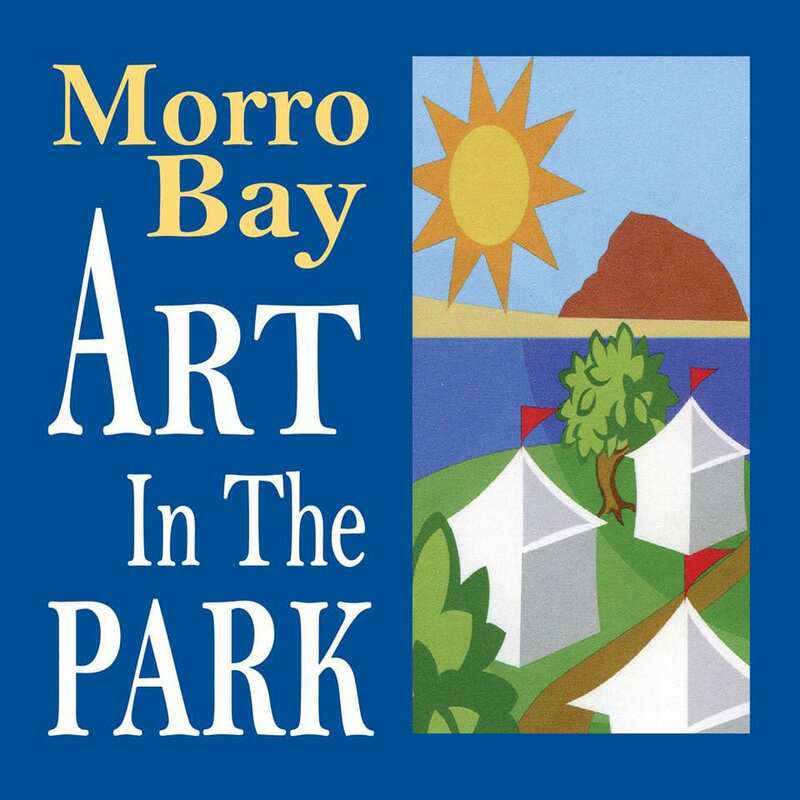 In 1955 the association launched an Art Festival for Morro Bay. 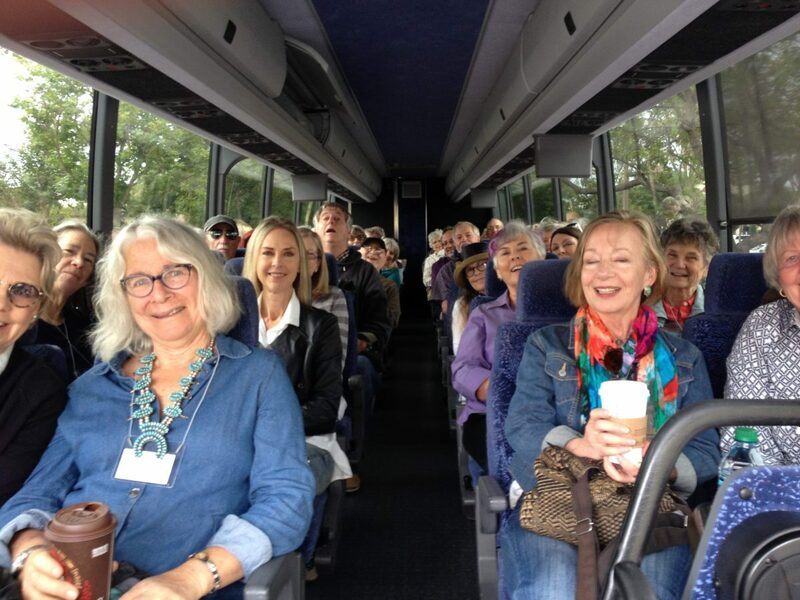 Seasonal festivals were conducted through 1958 when the city of Morro Bay took over the enterprise for a few years before handing it back to MBAA. 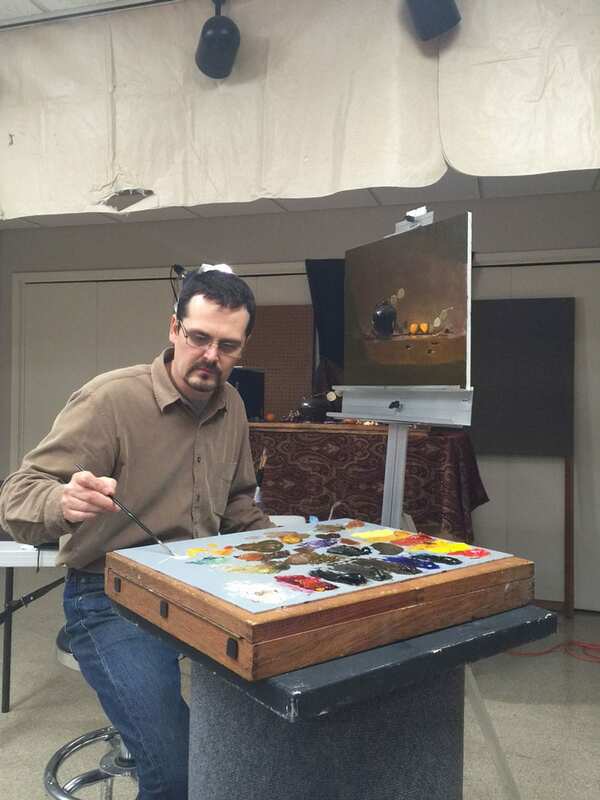 The association was incorporated in 1956. 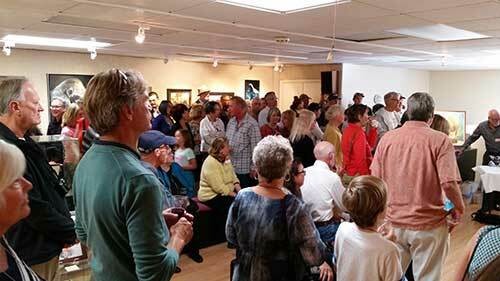 That year the group purchased its first building in the old library on Main Street in Morro Bay. When the building burned in 1962 the association returned to its nomatic style of earlier years. 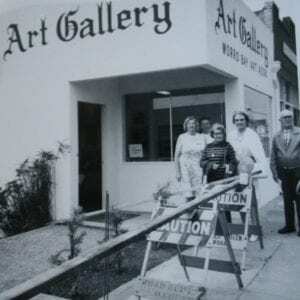 The MBAA acquired its current home in 1971 and opened the Gallery doors in August 1971. For additional exhibit and activity space, a deck was soon added. 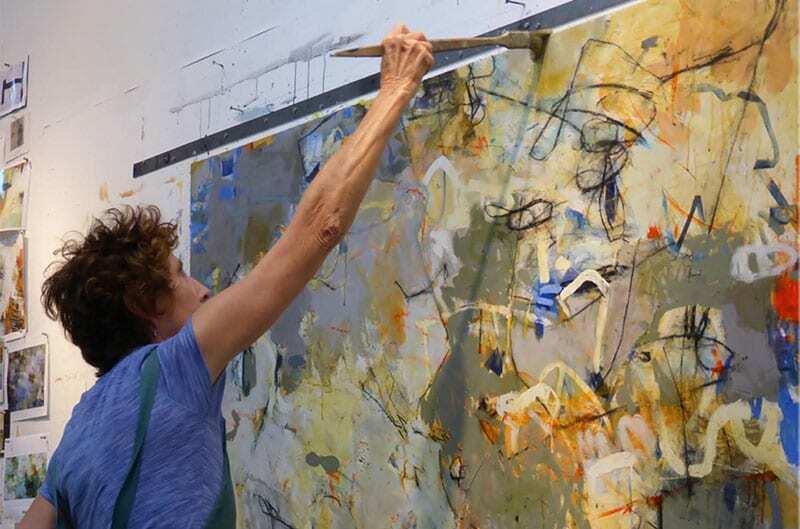 This building is a gathering place for artists and through exhibitions, invitational shows, festivals and art education, the hub for extension of the arts into the wider community. MBAA gained it’s current non-profit status in 1986 and continues to be a valuable asset to the life, aspirations and vision of the community.